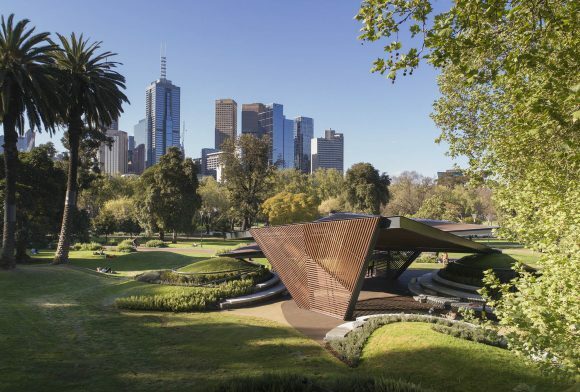 An unmistakable sign that spring is here – and summer not far away – is the return of MPavilion to Queen Victoria Gardens. With a picture-perfect setting and an inspiring program of talks, workshops, performances and more, it’s a feast for mind, body and soul. Designed with calm purity of line by architect Carme Pinós, the 2018-19 MPavilion is a peaceful indoor-outdoor space in a parkland setting. What better place for morning meditations? They’re held here every Wednesday under the guidance of a professional from A-Space meditation studio. Start the day with a clear, relaxed mind, and the nice feeling of not having spent a penny – these sessions are free! Take a guided walk with your furry friend, or just join the pack for instant canine and human companionship. 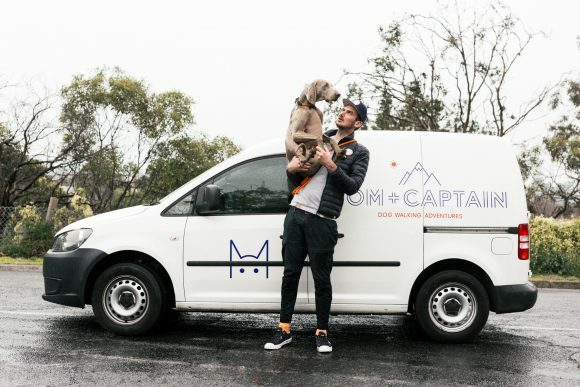 Dog Walking Adventures in the City with Tom + Captain is a new, active way to sniff out what’s interesting. 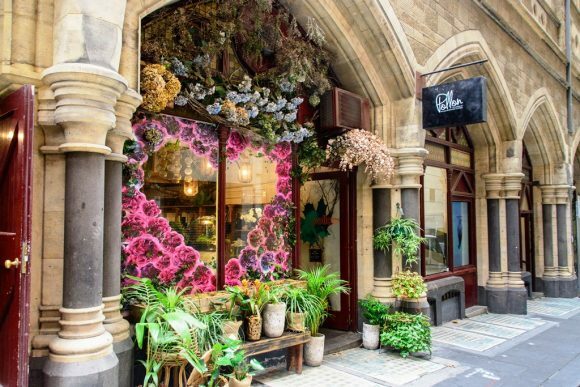 From MPavilion to the CBD’s lanes, streets and arcades, it’s a tail-wagging hour of exploration. About 400 musicians pass through Bakehouse Studios each week, so imagine their little black book! They’ve contacted some of those established and emerging Australian artists, and persuaded them to do rehearsal-style Bakehouse Sessions at MPavilion. Who they are will only be revealed the day before each free event, so stay tuned on social media. Who doesn’t want to spend a few hours at the end of the working week sipping drinks in the Queen Victoria Gardens? Local music, happy hour specials, garden views, late afternoon sunlight slipping into magical twilight – Friday Night Fiestas are the perfect weekend kick-off. The eclectic line-up of DJs and musicians include Tilly Perry and Soju-Gang. Whether you’re seriously into yoga or just curious, don’t miss MPavilion’s bright and early sessions. They’re free and open to all – just BYO mat. How about a 60-minute mindful yoga flow led by teachers from mind-and-body studio Happy Melon. Or a 45-minute session of freestyle sequencing anchored in the traditions of yoga, led by teachers from contemporary dance company Chunky Move. Stretch out, lower your stress levels and improve your focus before the day has barely begun. Melbourne industrial designer Christopher Boots has taken bioluminescence as the theme for his seventh Halloween Ball. That means lots of glowing in the dark inspired by creatures like glow worms and deep-sea jellyfish for this free all-ages party. You’re encouraged to dress up accordingly, but make sure your costume’s stretchy enough to get into the live bands and DJs. Even when there’s a lull in MPavilion’s program of 400-plus events, it’s worth visiting for alfresco drinks and snacks from the kiosk. 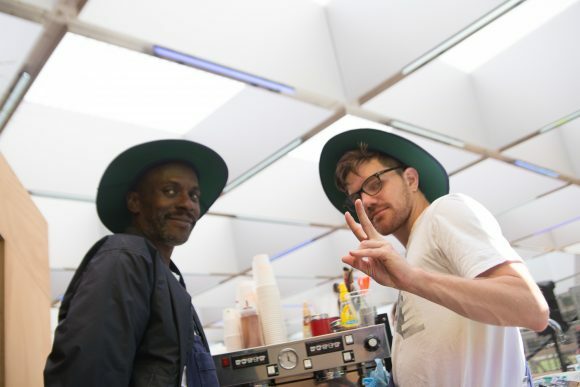 Three Thousand Thieves supplies the coffee, which changes monthly, and keep-cups are welcome. There’s also beer, wine and spirits, so any time’s a good time for some tasty relaxation. Each day, as MPavilion opens and closes, listen out for this spatial sound experience that responds to and echoes its location. Sound artist Lisa Greenaway has drawn on recordings of Queen Victoria Gardens’ natural and urban rhythms to create Reflections. This musical chorus is an invitation to reflect on the space and the sounds around us. Indigenous built-environment practitioners gather on the Yaluk-ut Weelam land of the Boon Wurrung people for the second annual BLAKitecture forum. Their voices are central to this series of free conversations about the built environment, curated by Palawa woman Sarah Lynn Rees. Get rare insights into contemporary theatre practice at this free series hosted by Melbourne Theatre Company. MTC at MPavilion includes readings of new works commissioned by the company, including Torch the Place by Benjamin Law. There’s also a conversation with director Lila Neugebauer, who will reveal the commercial pressures of being an artist in New York. Bonus – let’s make it 11 awesome things at MPavilion! A Catalan Experience is a one-off event celebrating the homeland of 2018-19 pavilion designer, Carme Pinós. Discover Catalonia’s distinctive poetry, music, folklore and history, and even see a Castellet, or human tower, take shape. Can’t wait to see the new MPavilion.